In this unit you will learn two fretted notes on the third string and two types of dotted rhythms. You will also be introduced to the concept of syncopation. ‘A’ is in the second space of the staff. To play ‘A’, fret the second fret on the third string. You already learned to read this note as the open second string. However, this same pitch can be played on the fourth fret of the third string as well. When you see this note in music notation you can choose whether you want to play it as the second string/open (AKA no fretting) or the third string/fourth fret. The rhythmic concepts learned in this unit often create an energizing and exciting musical effect known as syncopation. To understand syncopation you must first understand the terms onbeat and offbeat. Remember how to count eighth notes in 4/4 time? In this example, the onbeats occur on the numbers 1,2,3,4 and the offbeats occur on the &‘s. Onbeats usually get more strength and emphasis than offbeats. The listener expects to hear emphasis on the onbeat. Syncopation plays with those expectations. When syncopation occurs, musical emphasis is either partially, or completely, placed on the offbeats rather than the onbeats. Syncopation can occur for a few beats, or for the entire piece. The following dotted rhythms often facilitate syncopation. 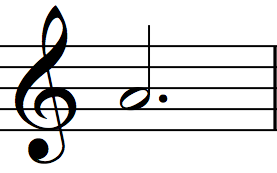 The dotted half note sustains for 3 beats. 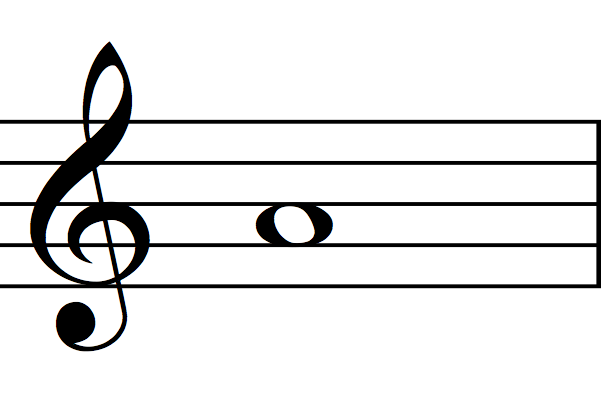 The dotted half note consists of a half note with a dot positioned close to the notehead. 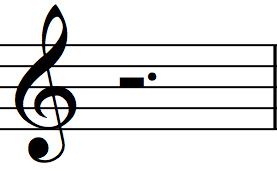 The dotted half rest creates silence for 3 beats. The dotted half rest consist of a half note rest with a dot positioned to its right. 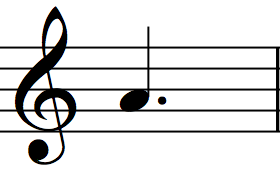 The dotted quarter note sustains for 1.5 beats. 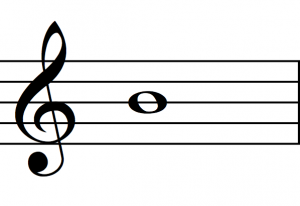 The dotted quarter note consists of a quarter note with a dot positioned close to the notehead. 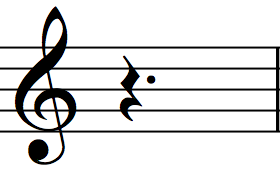 The dotted quarter rest creates silence for 1.5 beats. The dotted quarter rest consists of a quarter note rest with a dot positioned to its right. The pickup (AKA anacrusis) is a note, or small collection of notes, preceding the first downbeat in a musical section. Most people experience difficulty when learning to sight-read syncopated rhythms. Find scores that contain syncopated rhythms and pluck the rhythms only. In other words, ignore the changing pitches and choose only one pitch to play so that you can focus all your attention on sight-reading rhythms. You can apply this approach to the duets in this series. However, for a more comprehensive resource, I recommend using the book, Modern Reading Text in 4/4 for All Instruments by Louis Bellson and Gil Breines. Make sight-reading rhythms a part of your daily practice. It will increase your confidence and effectiveness in a matter of days!